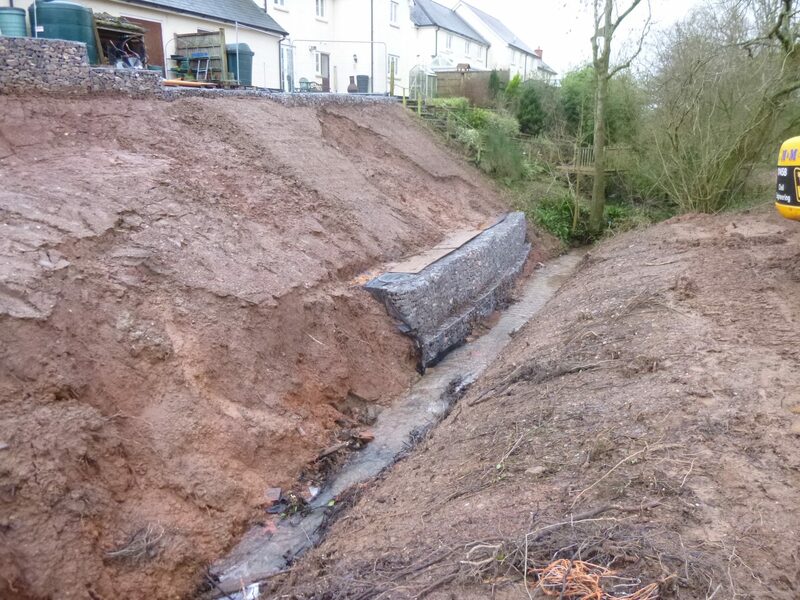 Heavy rain caused the river to swell and scour away the toe of this sloping river bank forming the gardens of adjacent properties. 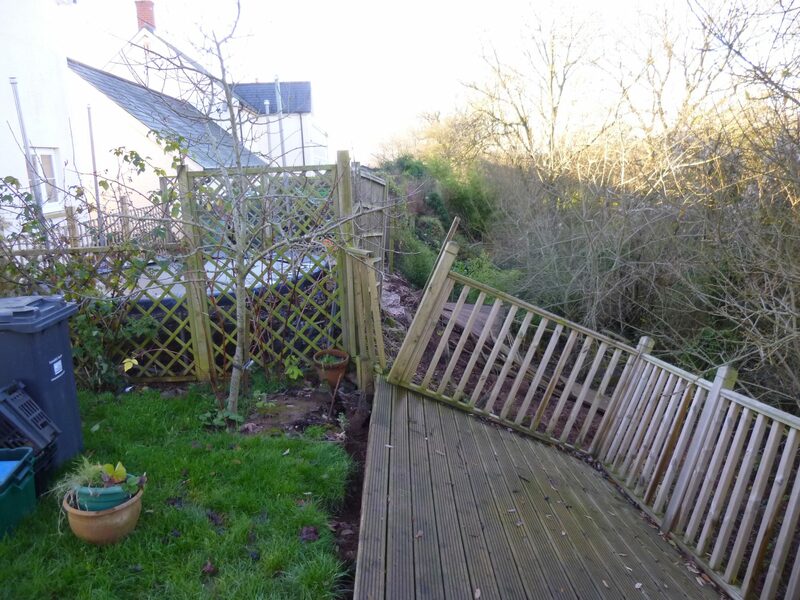 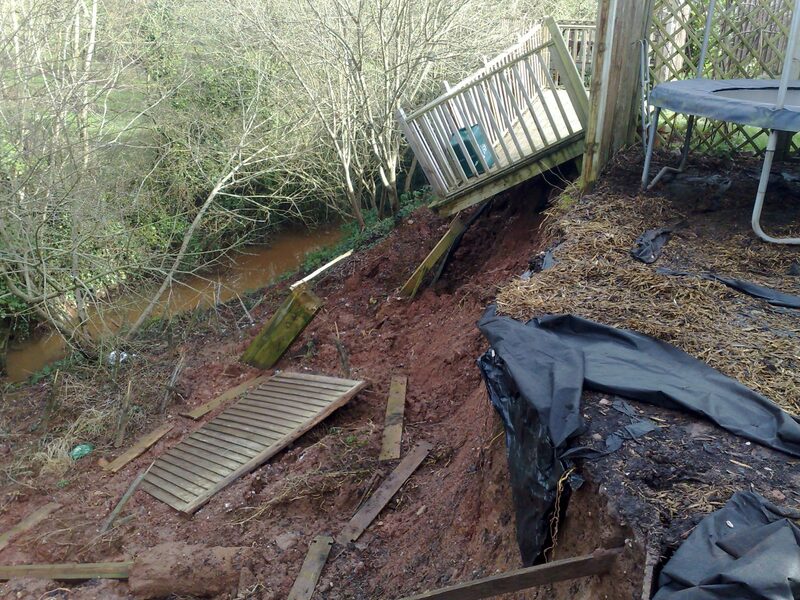 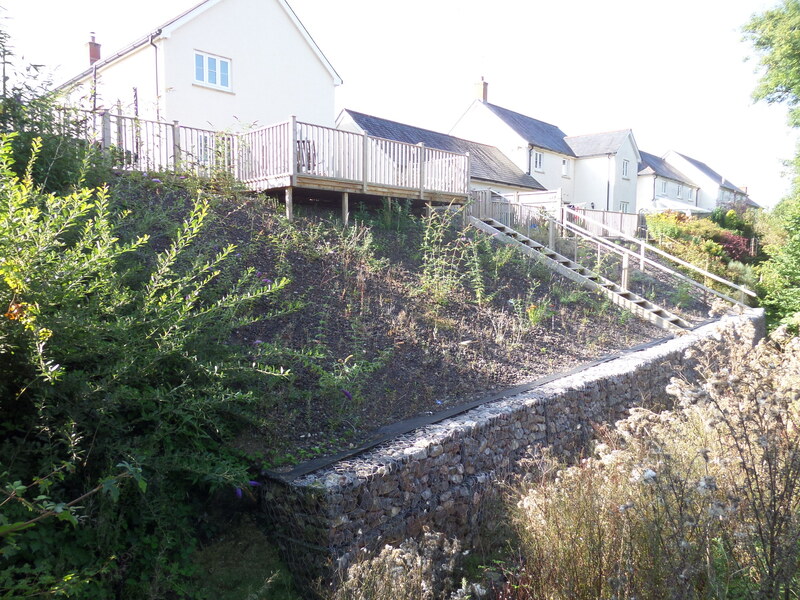 Combined with excessively high levels of groundwater in the soils this caused the slope to slip, taking the top edge of the gardens with it, including steps, decking, fencing and plants. 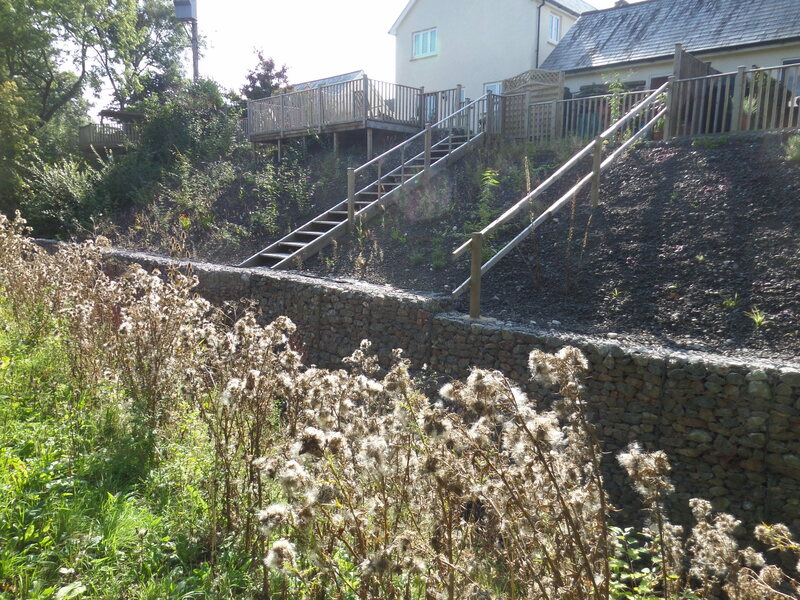 James Lockyer Associates devised a scheme to provide temporary diversion of the river and reinstatement of the slope and gardens. 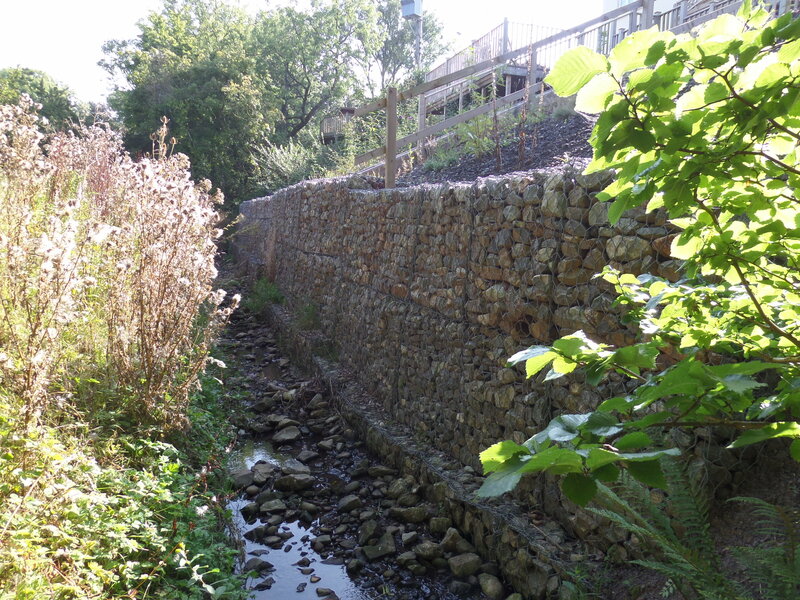 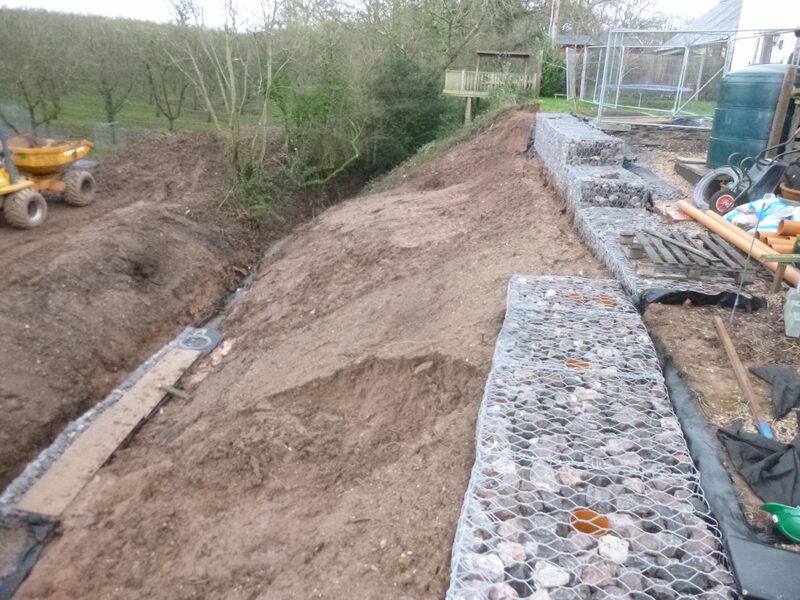 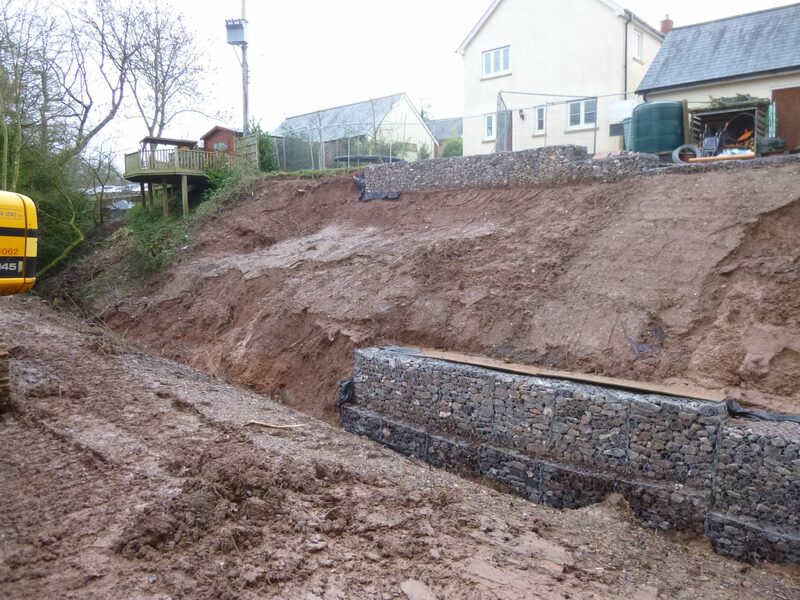 Rock filled gabion baskets were used to reconstruct the line of the river and retain the slope behind which was enhanced with the provision of land drainage to reduce the risk of water pressures building up in the soil at times of heavy rain.